We don’t just repair and restore antique and vintage furniture. We also offer a wide selection of high-quality new products as well. Have been struggling to find a lampshade for your antique or vintage lamp? Well look no further. 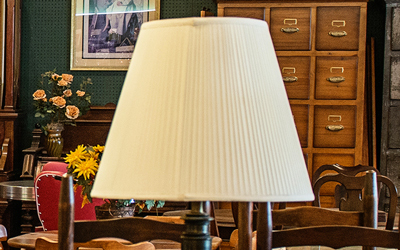 We can help you repair or recover your existing lampshade, locate a new replacement or create a custom lampshade that will perfectly complement your beloved heirloom. As furniture specialists, we appreciate quality workmanship and well-made furniture. That’s why we sell a complete line of American made Amish reclining furniture by Ort Manufacturing. The complete line includes recliners, wall huggers, swivel rockers, and occasional pieces. Currently there are over 70 frame styles and 360 quality fabric choices to ensure you find the perfect addition to your home décor. To insure style, comfort and durability inside and out, only the finest in materials are used, from the rugged internal construction to the finely tailored fabrics from the country’s leading mills. 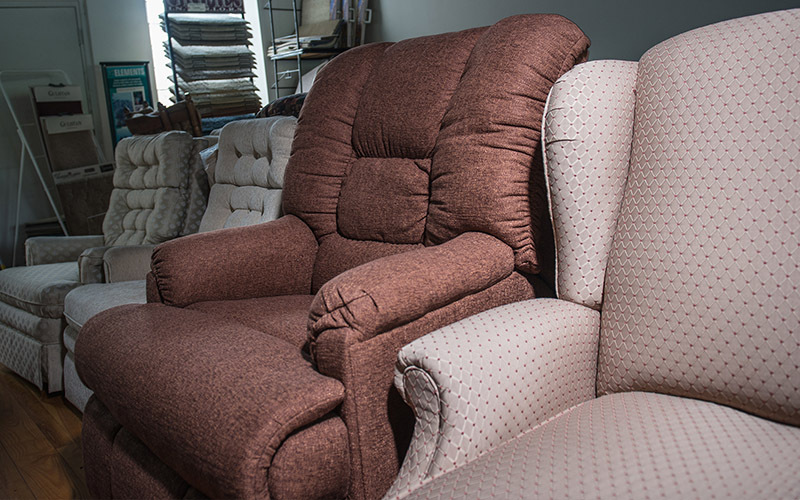 And with limited lifetime warranties of frames and mechanisms you can rest assured that your recliner will last. Let Grimes Interiors help you select the type, style and fabric best suited for your home decor and seating comfort. Often the restoration of furniture is part of a larger home refurbishing or redecorating project. 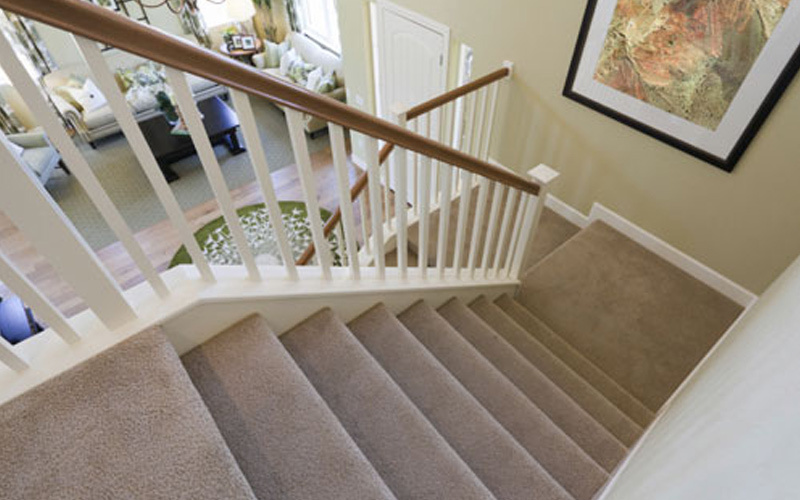 To compliment the furniture we have repaired and restored, Grimes sells and installs quality carpet. We conveniently bring our carpet showroom to your front door, allowing you to choose from a wide selection of carpet samples. We represent Mohawk, the finest name in carpeting, with a complete line of the best quality carpet made in the U.S.A. with a ten-year warranty. Our personnel will help you select and coordinate colors, and are fully qualified to measure your rooms, calculate the amount of carpet you will need, give you a price and schedule installation at a time that is convenient for you.